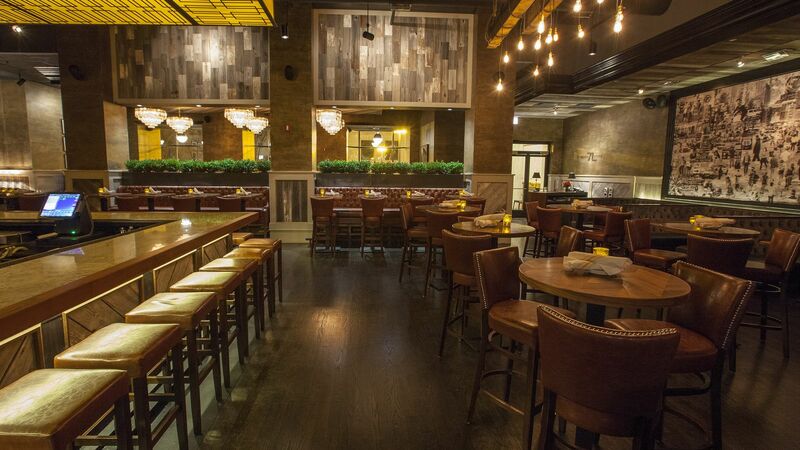 Chicago Magazine knows how to party. 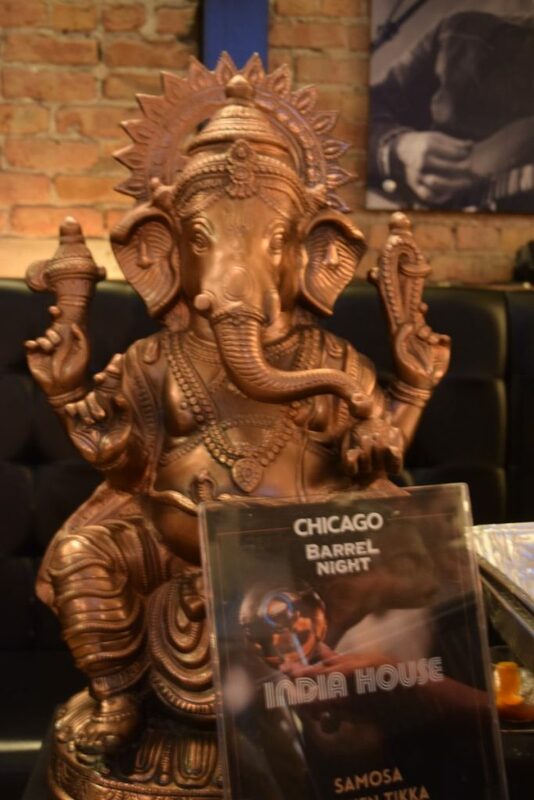 For its Third Annual Barrel Night, hosted at Chop Shop on February 22, 2018, Chicago Magazine brought together whiskey, rum, tequila and other spirit vendors for an exciting Thursday evening. Delicious food, two featured cocktails, and activities to change-up the pace from sipping whiskey promised a memorable event. Eager to enjoy the cocktails, the crowd also wanted to learn more about spirits. 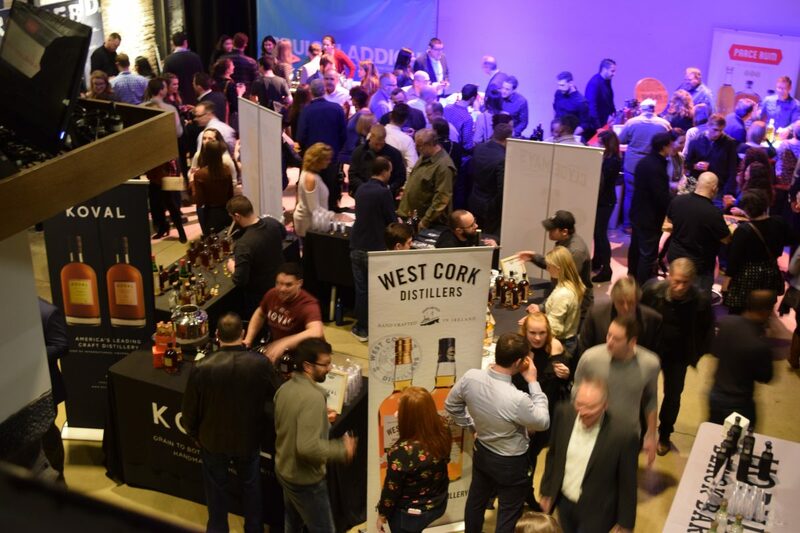 Each attendee received a card upon entering the venue with ‘Whiskey 101’ on one side and a list of all the Sips, Snacks and Shops not to be missed. 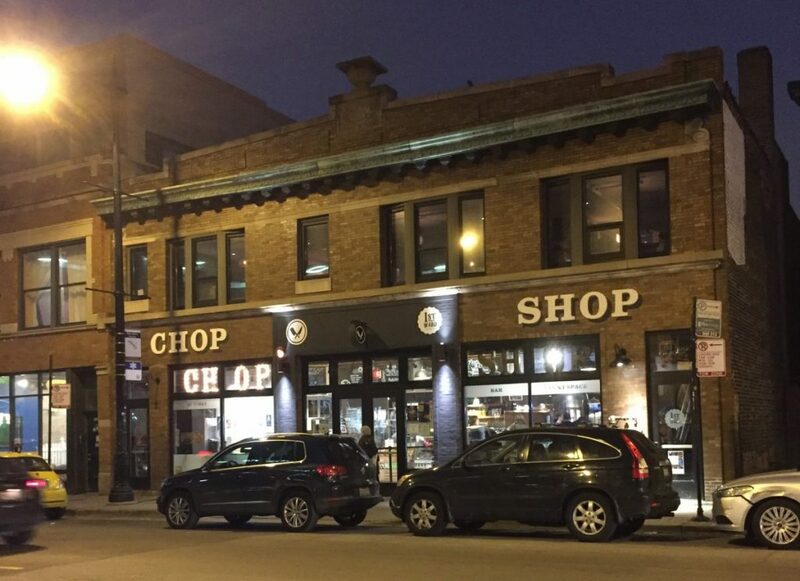 Chop Shop Chicago, 2033 W North Ave. 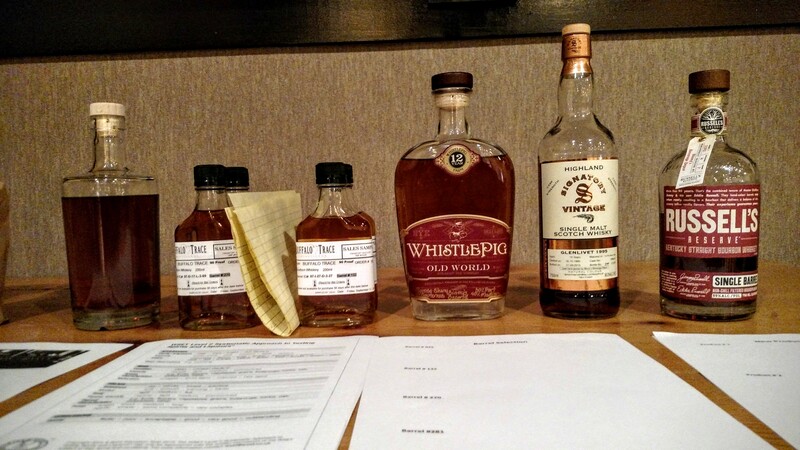 The variety of spirits representatives spanned geographies brought with them a range of styles. 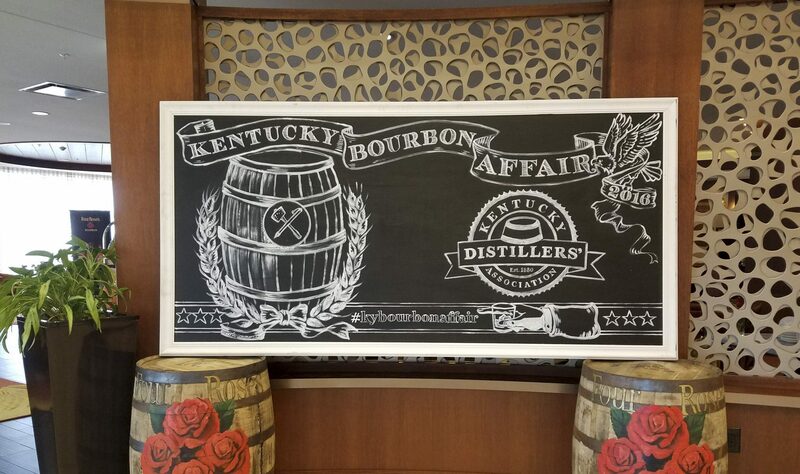 KOVAL Distillery, FEW Spirits (Evanston, IL), Blaum Bros. Distilling Co. (Galena, IL), and CH Distillery represented local spirits; as well our neighbors in Michigan at Journeyman Distillery and Wisconsin’s Driftless Glen. Kentucky Bourbon found prominent place and Tennessee (Belle Meade Bourbon) and Alabama (Clyde May’s) whiskey brought their spirits and story. International whiskey featured several Irish distillers, Scottish whisky and French brand Brenne. There was also rum and gin; Hornitos Black Barrel tequila was available for sampling and mixed in a featured cocktail. The rum brands were making a big splash in popularity with not only great mixed drinks and samples but also fun giveaways. By the end of the evening many attendees walked away with a panama straw hat! 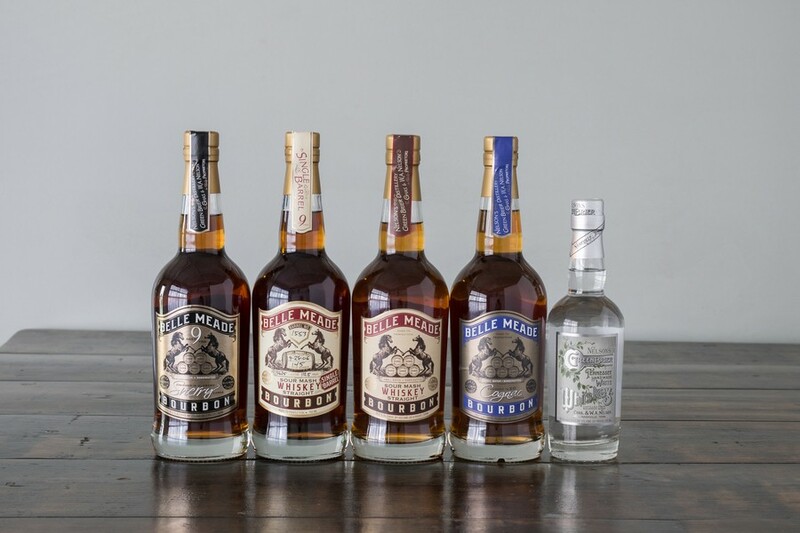 Read our review of Belle Meade Cognac Finished Bourbon, click here! The food, both passed and available from two vendors at stations, came from theater district’s Rosebud Prime and India House. The passed food was fun finger food appetizers like macaroni and cheese fried balls and deviled eggs. The food was excellent and I enjoy spicy foods, but I don’t like to mix tasting whiskey with spicy foods. I think it’s harder for me to taste some of the little flavor nuances of the spirits after spicy foods. I’ll admit to being a whiskey dork, and for me, tasting the whiskey was the reason for the evening, and I know I am not the only one who believes that spicy food is not the best for tasting. I should have stuck to the naan. An ice cream cart from Dipsy Desserts satisfied my sweet tooth. They hand dipped ice cream bars in chocolate and had choices of toppings and drizzle. India House in the house! There were interesting vendors that made this event, on paper, seem hard to pull off. How was Chicago Magazine going to have whiskey sampling, hot stone massages, golf swing analysis and a magician at one event? But it was worked. My Chicago Golf set up a putting green along part of the second floor and attendees checked to see how good their follow through was after a couple pours of whiskey. Eighteen Eight Fine Men’s Salon provided a hot stone massage for some after-work relaxation. BLVDier Custom Clothier had fabric swatches and measured on the spot for ties and shirts. The spirit brands played to the audience and what was appropriate for the event. Highland Park Whisky, which sometimes sends kilt-wearing brand representatives, only had a single two-foot long ax on their table. They did not forget their Viking heritage and branding but also were not leading with that foot. Highland Park also had what I might guess was the night’s most hard to find bottle of liquor on their table to taste. I asked right away if Full Volume was available because it’s a memorable whisky. I will also say that most people stopping by the Highland Park table tasted other expressions from the collection and would have had to ask for Full Volume by name or be really into the Viking experience to get a taste of it. A taste of one Highland Park whisky, and talking with their staff could help you get an understanding of their story, be it Full Volume or the 12 Year Single Malt Scotch. This is what made this event wonderful for the crowd for which it was designed. I’m probably the only one who cared that the awesome food was on the spicy side for a whiskey tasting. The representatives were the best from their companies and understood the audience. You know you’re talking to a wonderful staff member when someone with no spirits knowledge and someone with lots of spirits knowledge can learn and enjoy the interaction. As I was tasting bourbon from Driftless Glen Distillery (Baraboo, WI), another attendee asked how many bottles could come from a barrel of whiskey. It’s a simple enough question, right? 53 gallons from a barrel is equal to how many 750 ml bottles? This representative answered the question very well and suggested one variable, barrel size, that might change this number. He gave her rough number with some quick math and she was happy. I joked about what a loaded question that was and how much more complicated an answer he could have given. Two hours later that poor woman could have been there hearing him talk about angel’s share evaporation rates and rackhouse placement, age, the proof of the bottled spirit and its barrelling proof. I would have been fascinated but I don’t think she would have enjoyed it. It’s all about engaging the audience. 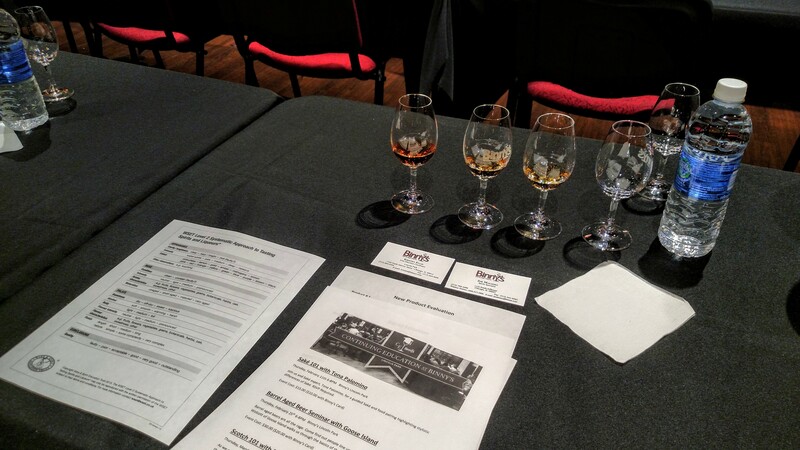 It was a great event to bring new people into a little more knowledge about spirits. The room was buzzing with energy. People enjoyed the evening and for a Thursday night, I’d say, it was a pretty great excuse to drink some awesome whiskey. Thank you Tronc Media and Chicago Magazine for providing tickets to this event.